Weeks after Britain’s defense secretary accused Russia of planning attacks on power stations that could murder “thousands,” Moscow has made its move – by sending gas to help out after the UK’s supplies were hit by cold weather. There’s blanket coverage in the British media about how Russia is helping out amid a possible gas shortage as a result of the cold snap. No, actually there isn’t, there is hardly any mention of it at all. 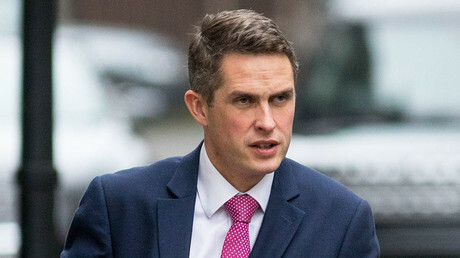 There was extensive media coverage when Defense Secretary Gavin Williamson unleashed his scare story about Russian spies eyeing up attacks on Britain’s power infrastructure, warning that Moscow was planning ways to murder “thousands and thousands and thousands” of people. Not much of the analysis seemed to consider that perhaps the warning was overwrought. Now, there is a real-life example of the pragmatic reality of the UK-Russia relationship. A delivery of Russian gas is being sent to stabilize the UK’s precarious energy security, and make sure Brits are able to keep warm. The liquified natural gas (LNG) is coming from Siberia’s Yamal energy project, in order to relieve the UK after a week of abnormally low temperatures that led to unstable gas supplies. The LNG will reportedly be picked up and delivered by British giant Royal Dutch Shell. The imminent delivery sums up the myth vs the reality of the relationship between London and Moscow. The myth of Russia provides a useful bogeyman for defense secretaries who need extra funding for the military, or who have just been outed as having had an inappropriate relationship (forgot to mention that). Russia is useful when a government is struggling to deal with a political situation like Brexit. Moscow provides both something to blame, and also something to distract attention. On the other hand, Russia can provide secure energy when it’s needed, and float its businesses on the London stock market like any other, and is happy to do so. It will even allow its citizens to invest in English football clubs. In other words, the evidence is that Moscow is more likely to keep thousands and thousands and thousands of people warm, wealthy and entertained… as opposed to killing them. If there is reason to be cynical about the West’s claim to be using sanctions against Russia for the greater good, here it is. While it was being built, the Yamal energy project was the target of sanctions linked to Russia’s alleged involvement in the eastern Ukraine crisis. Shipments of Russian LNG themselves, however, were not sanctioned. That’s a really helpful detail when countries like Britain need a tanker or two to help out.